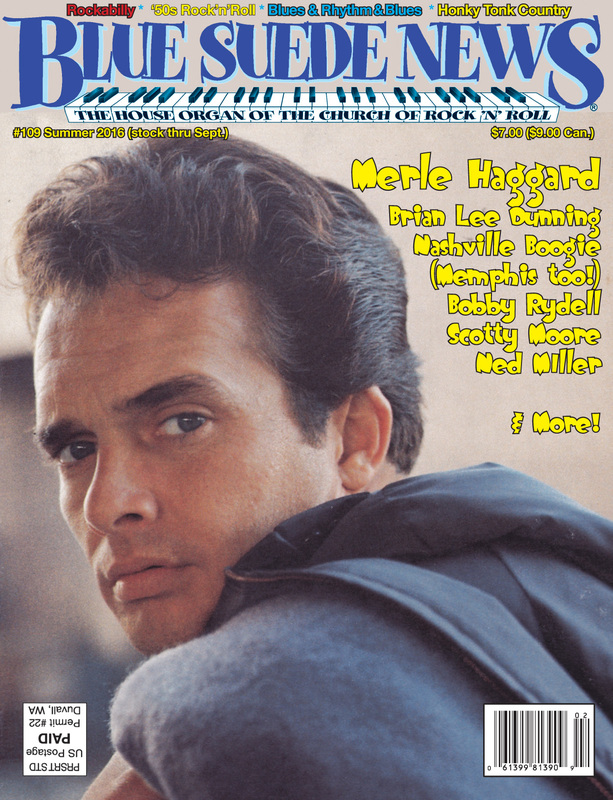 Blue Suede News Digital subscriptions: Rockabilly, Rhythm and Blues, REAL Country Music, Doo-Wop, Surf, '50s Rock'n'Roll, Garage Rock! Subscribe to our Electronic Editions (PDF) by e-mail! Same cost anywhere in the world! Use the link below to order a 4 issue Digital subscription.You can order the current and next 3 issues, or any 4 issues #57 - #112 in PDF from here - just specify which issue(s) you want. (#1, #6, #7, #8, #10, #11, #16, #17, #30 and #31 are also available in pdf and can be included with this order. #45 thru #56 are available in pdf too, but at a higher price as they have many more pages) You should be able to make a note on your order or E-mail BSN. You can also use this subscription link to order any 4 issues #57 - #112 or the ones available from #1 to #31 - e-mail us which 4 you want. Check our home page for newer issues, and back issues page for older ones. These work fine on Barnes & Nobel's Nook, and should work well on ANY computer or portable device that can play a PDF (which they all ought to do). Starting with #93 we also have 4 extra pages of content in several digital editions! Many issues now also available at Amazon for the Kindle! Send $15.00 - to Blue Suede News, Box 25, Duvall, WA 98019-0025 U.S.A.